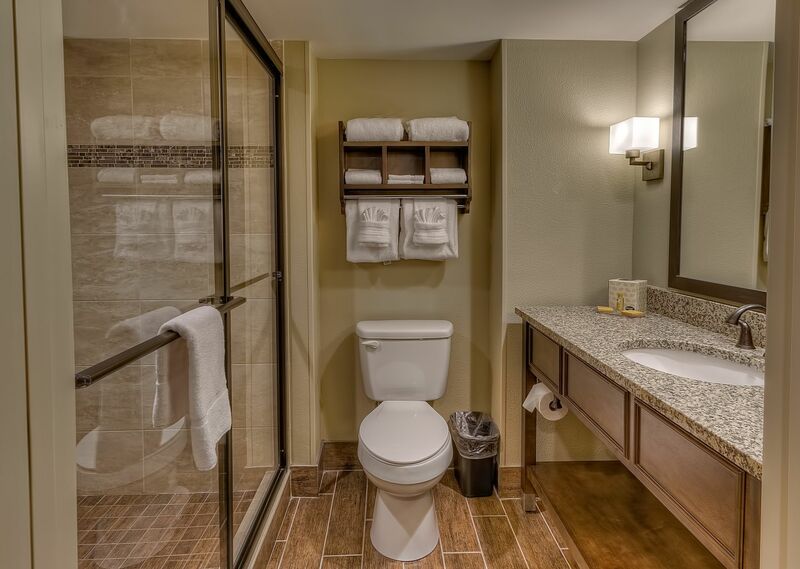 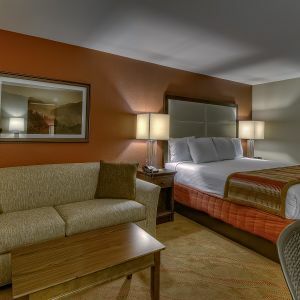 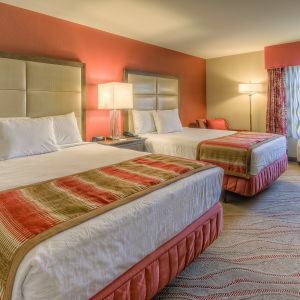 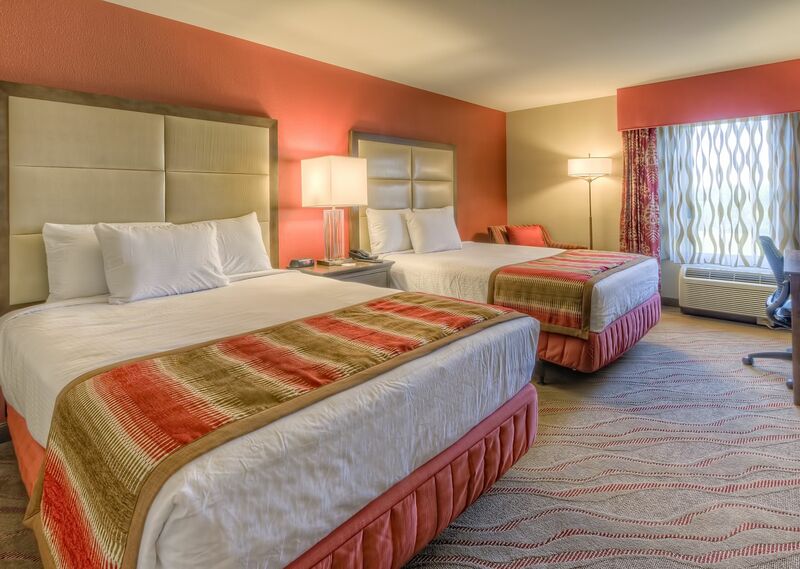 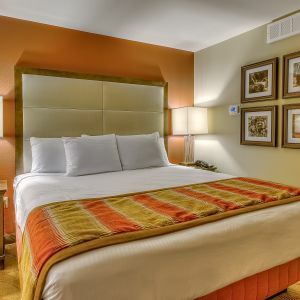 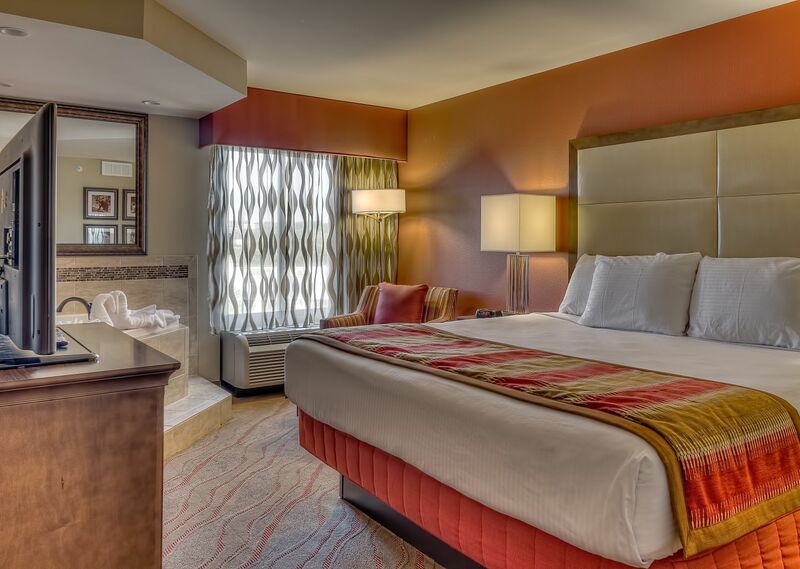 Our brand new hotel rooms in Pigeon Forge are equipped with well-adorned décor, luxurious bedding and modern delights. 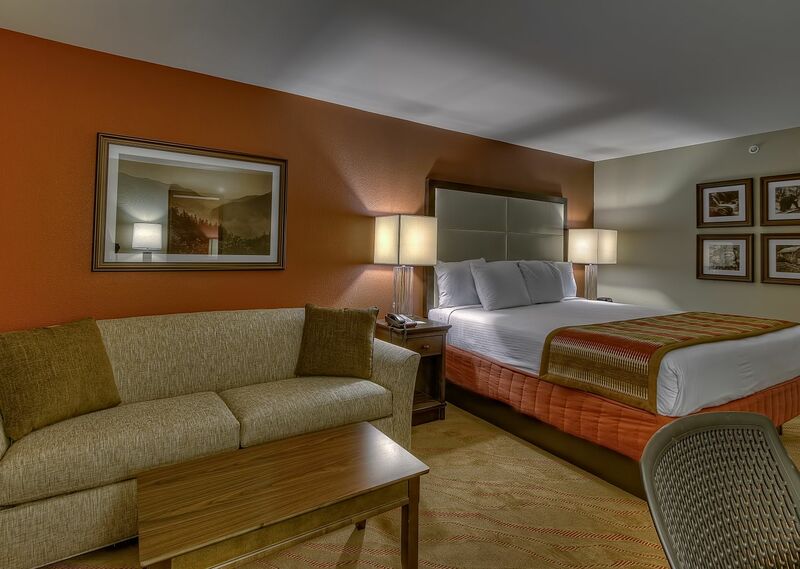 Reserve a suite today - don’t miss an opportunity to experience all the area attractions that Pigeon Forge has to offer. 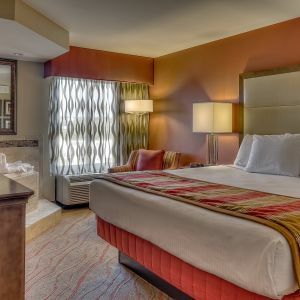 Deluxe suite with separate bedroom featuring a king size bed and whirlpool bath, living room area with kitchenette, sleeper sofa, and bunk beds, and bathroom with separate changing area.